In Q4 2018, the holdings in the Hamilton Capital Global Bank ETF (ticker: HBG) recorded year-over-year portfolio-weighted EPS growth of a robust 21%, supported by excellent fundamentals of U.S. mid-cap banks (~45% weight) and a globally diversified portfolio of international banks (~55% weight). The growth was strong and consistent across virtually all regions. In fact, 33 banks in HBG reported year-over-year EPS higher greater than 10%. This robust EPS growth underpins HBG’s strong absolute and relative performance. 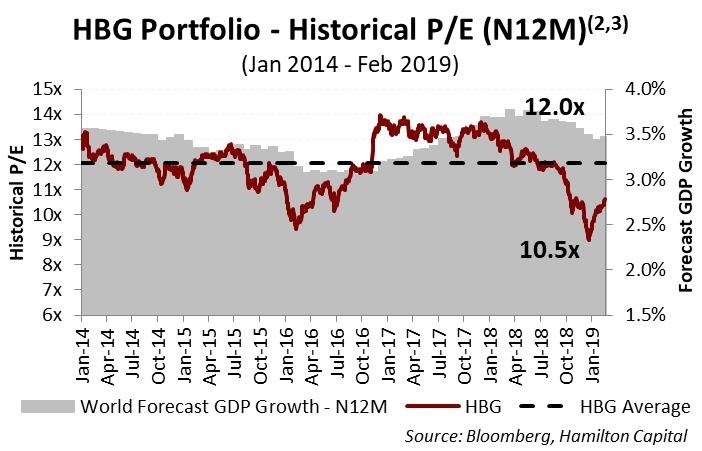 Since it was launched over 3 years ago, HBG has generated an annualized return of ~9%, despite absorbing three severe macro corrections. It is also over 16% ahead of the KBW Global Bank Index (GBKXN – CAD, as of January 31, 2019). The chart below highlights the strong fundamental performance of the HBG holdings. Importantly, the strong EPS growth of the HBG was broad-based across all geographies. Although the U.S. portfolio generated EPS growth of ~32%, it was supported by the reduction in corporate taxes. Excluding this tax benefit (which added roughly 18%), portfolio-weighted EPS growth for the 23 U.S. banks in HBG was ~14%, which was nearly identical to the 13% from the 26 banks in our non-U.S. bank portfolio. Benefits of global diversification were evident across other major markets, most prominently Europe and Asia, including India. For the U.S. bank portfolio, an emphasis on higher growth states and metropolitan statistical areas helped support the mid-teens EPS growth. 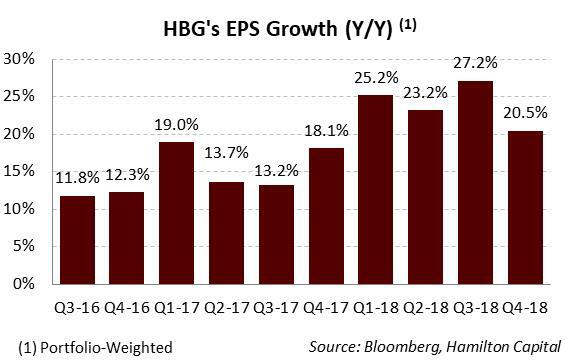 It is also the reason why the U.S. portfolio of HBG has experienced higher EPS growth than the U.S. average every quarter since inception. We also believe that consolidation in the U.S. mid-cap banking sector is likely to accelerate in the next two years and with over 20 U.S. mid-caps in HBG, we are optimistic this trend will benefit unitholders. 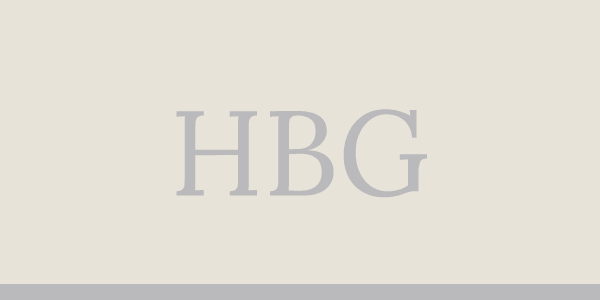 In fact, during the quarter, one of HBG’s holdings was involved in a merger-of-equals, which was well received by the market. With global growth expected to be well above 3.0% and a favourable macro-economic backdrop (interest rates and inflation), we believe Canadian investors can benefit from diversifying their bank exposures and gain access to a large number of countries and themes. Moreover, the global banking sector continues to trade at a large valuation discount to five-year averages, offering the potential for multiple expansion. As the chart below highlights, the current holdings of HBG trade at ~10.5x, a nearly ~13% discount to their five-year average. This figure is with ~90% of HBG reporting and assumes remaining holdings report EPS equal to consensus. As of the time of writing this note only nine banks had not reported, including two Canadian banks, four European banks and a bank in Asia. Two Australian banks report semi-annually. GDP data is a blended forward 12 month forecast of annual estimates. Data prior to September 30, 2014 uses actual GDP growth (versus market forecast).